Hi there. Am running a PC, where I share several folders with a laptop. These shared folders have advanced settings of 'full control' permission for 'everyone'. However, whenever I try to delete a file on my PC during an access from my laptop, it gives me an error message to 'try again', or I need permission. Is there another permission I need to set on the PC? This puzzles me. Both my laptop and my PC have Windows 7. I am really expecting full control. Thank you for your tips. Thank you, Ryo, for making me look deeper. Somehow I had missed a step. There was no problem with network and sharing center. In the advanced sharing of the folders, I forgot to actually allow the homegroup/everyone with read/write permission. I have what appears to be the same situation. I cannot access a shared folder on my Windows 7 laptop from the XP Pro computers on my network. They see the laptop and under that the shared folder, but can't open it. 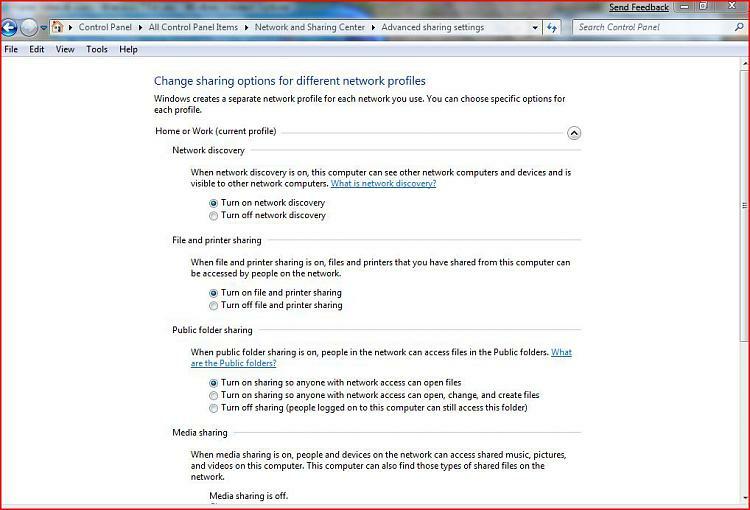 I got the User and Public Sharing screens (shown in Ryo's post) set to "enable" everything for everybody. In Advanced Sharing for that folder I have enabled everything including Read/Change for everybody. In Security I have given Full Control to everyone. This is maddening. Does anyone have a further idea? Malkeleah on the MS social forum has provided the answer. The situation is more complex than I had understood, and is not just a matter of setting permissions. The bottom line appears to be that if you want to network a mix of XP and Win7/Vista PCs then you should play by the rules. 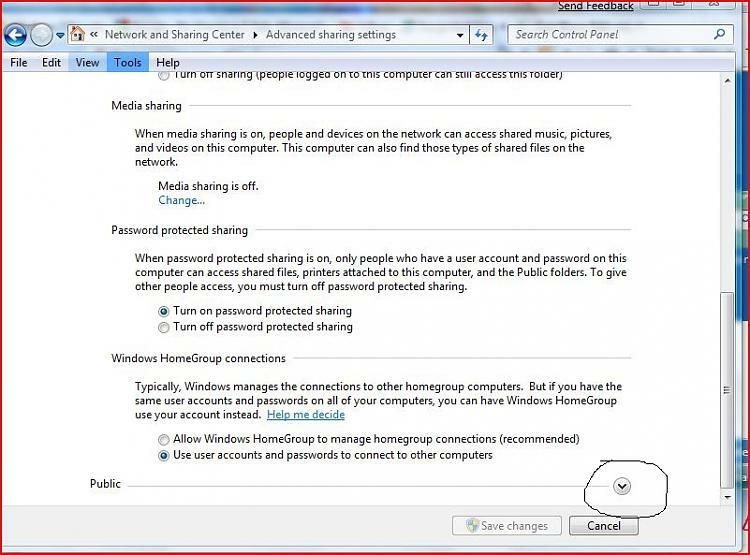 To share full drives, set up matching usernames and passwords, and don't try to share root drives. Or use the Public folder for transfers, which is what I will do. Registry hacks are not going to do it in general. Malkeleah-what do you mean by "matching user accounts"?